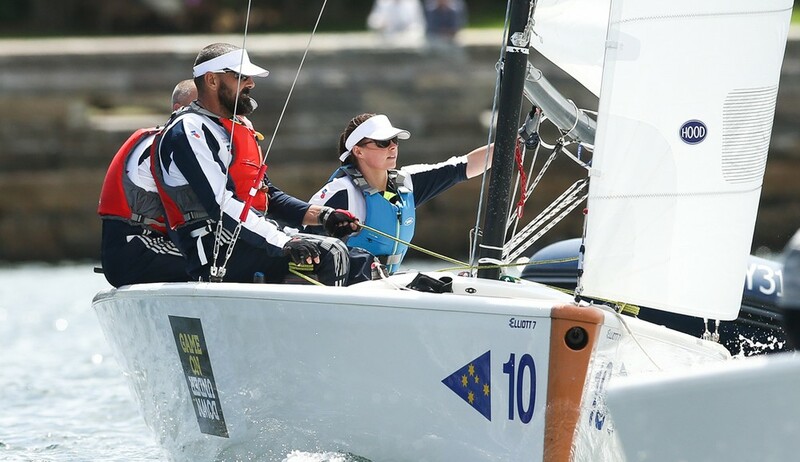 Australia and France took the debut sailing Gold medals at the Invictus Games in Sydney. In the Elliott 7 team event, Paul Langley, Craig McGrath, Rob Saunders and Marcus Wilson of Australia took Gold ahead of Joakim Juul Eriksen, Johan Høeg Hansen, Trine Holst Jensen and Kim Wilsborg of Denmark. Bronze went to Jeroen Lunsingh, Marc van de Kuilen, Luuk Veltink and Edwin Vermetten from the Netherlands. The two British Elliott 7 teams did not make it into the six boat final medal race group. In the Hansa 303 single-hander event, Cyrille Chahboune of France took the Gold ahead of Davin Bretherton of Australia, with Bronze going to Pete Arbuckle of Australia. Britain’s Spencer Bull finished fourth. Note that Spencer is also competing in the swimming events this week.